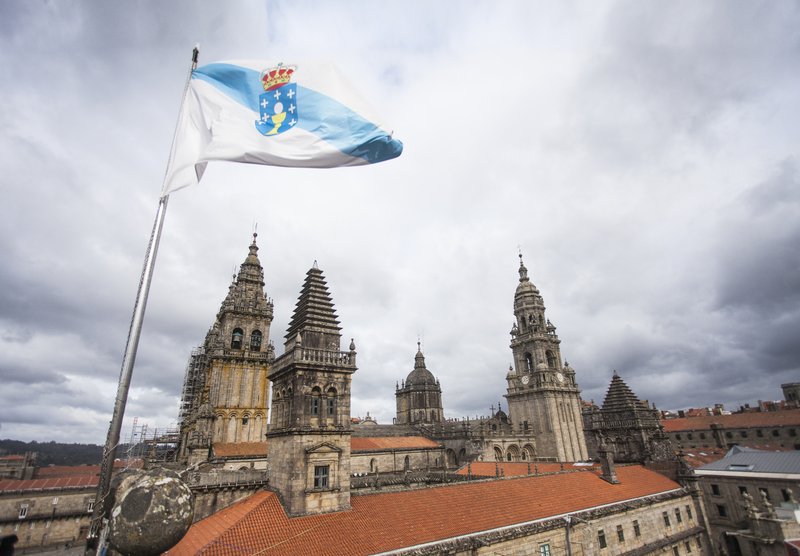 Santiago de Compostela is the administrative and political capital of Galicia. 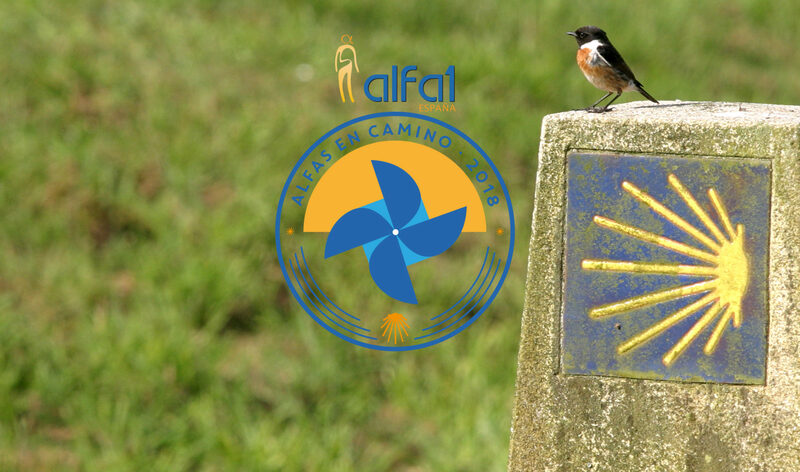 It is also the finish of the Camino de Santiago, the main spiritual, historical and cultural route of Europe, and historically one of the main pilgrimage routes of the Christian world. Its University is one of the oldest in Spain. Officially it does not reach 100,000 inhabitants, although its immediate area of ​​influence exceeds 150,000. Most reside in the urban center. It has a student population that exceeds 25,000 university students, which makes it a young and lively population. Santiago is a relatively small city and its centre can be walked practically in its entirety. The airport is just over 10 km from the city centre. Its climate is oceanic. There are no sudden changes in temperature but the rainfall is very variable. In summer, the average temperature ranges between 15 and 24 ºC. It has earned the reputation of being the rainiest city in Spain. Although rainfall can exceed 280 mm. in the rainiest months, the average number of days with rain in the warmer months, from June to September, is only 6. You can check here the weather forecast in Santiago. In the old town of Compostela there are many shops with small jewellery and gifts, where you can buy a souvenir of the city. The jet (black lignite) and the silver filigree are the most traditional crafts, as well as others of an artisanal and gastronomic nature. After a five minute walk from the historic centre you will find Xeneral Pardiñas street and, with it, the Ensanche, a shopping and leisure area with numerous options for textiles, footwear, gifts, jewelry and all kinds of products and brands. Shops open their doors Monday to Friday and on Saturday mornings. The usual schedule is from Monday to Saturday from 10 am to 1:30 pm to 2:00 pm. and from 16:30 to 20: 30-21: 00h. Shops away from the centre, and some of the old town, close on Saturday afternoon. Santiago enjoys an excellent reputation for food and drink gastronomy. In general, the menus are made up of a varied range of fresh seafood and fish, as well as excellent quality beef, broths, empanadas and bread made from traditional cereal blends. The great offer allows you to choose between places that focus on traditional dishes and others that opt ​​for more contemporary dishes, as well as some international restaurants. Among the beverages highlights the pomace (orujo) and its derivatives, such as coffee or herbal liquors. Most restaurants sell wines from the five Galician certifications of origin. As for desserts, it is usual to offer the Santiagopie (almond) or some of the cheeses with denomination of origin. Compostela night is also marked by its university character, by the variety of premises and environments distributed in two areas: the new and the old towns. Traditional pubs and cafeterias predominate in the old town. It is the ideal place to enjoy folk and alternative music. In the new neighbourhoods, tapas, drinks and discotheques predominate, destined for a young audience, with the most frequented areas being República Argentina, Alfredo Brañas, Praza Roxa and Fernando III O Santo. Santiago has Lavacolla International Airport, with direct national connections and with several European and American cities. The airport is 15 minutes from the city centre. The taxi fare from the Airport to the center is € 22. It is also connected by train to Madrid-Chamartín with several connections daily. If you choose the train, opt for a direct Alvia. There are other daily connections that require a transfer in Ourense and that will delay your arrival some 30 minutes. Lugo and Santiago are connected by bus, in an hour and a half journey. If you decide to travel to Lugo by bus, check the schedules and be sure to choose a non-stop trip. The time difference between direct buses and stops is more than half an hour. If you decide to travel by car, it is convenient to leave it in Santiago and travel to Lugo by bus. You can choose to look for parking on the street (it’s difficult depending on the day and time) or by leaving it in one of the public car parks with reduced rates. Parking Xoán XXIII is public and is located very close to the Cathedral. It has a tourist card that entitles you to park a vehicle for 7 days for 30€. You must request this card in the parking lot at the time of leaving the vehicle. If you wish to park on the street, do not hesitate to contact the Organization to advise you on the best areas. The Hotel La Salle, where we will sleep in Santiago, has a car park a few meters away, La Salle Parking.